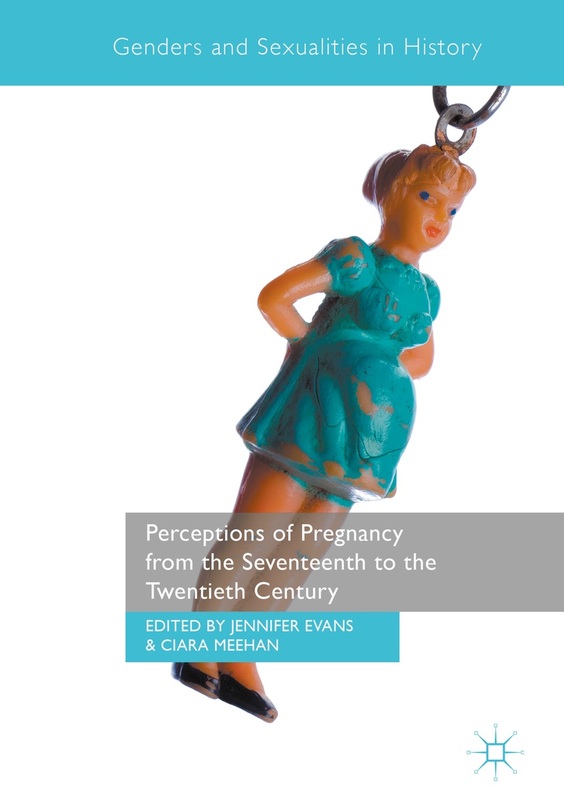 Helen Brooks’ excellent outline of the issues surrounding pregnancy on the eighteenth-century stage demonstrates that 1) women expected to retain their employment (and their salary in some cases) during their lying-in period, and 2) that audience response to pregnancy was largely a question of whether or not the quality of the performance remained, not of verisimilitude. Brooks’ attention to the differences in experience between celebrity and non-celebrity performers is valuable, as is her desire to challenge the stereotype of callous male managers who were unsympathetic to the demands of pregnancy and birth. Brooks places the known experiences of specific women in conversation with printed advice manuals about caring for themselves and their children during pregnancy and after birth. Ultimately, while working actresses were often unable to adhere to advice about breastfeeding practices or post-birth confinement, this did not compromise their potential to be ‘good’ mothers in the minds of audiences. J.D. Phillipson’s piece on Anne Oldfield (1683-1730) considers “the potential usefulness of pregnancy and motherhood in the development and maintenance of a celebrity identity” (43). Phillipson argues that Oldfield’s public performances of motherhood—her behaviour during pregnancy, onstage performances of tragic heroines and mothers, and her will—helped Oldfield create a persona that granted her the status of devoted mother and woman of quality despite her status as actress and political mistress. Her consideration of the physical and material realities of pregnancy—including fashion—is particularly rich. Gilli Bush-Bailey’s “The Gerbini Letters: A Tale of Two Mothers” is a fascinating piece of historiography exploring the possibility that actress Fanny Kelly (1790-1882) successfully hid a pregnancy and birth during an extended absence in 1828-29. The strength of Bush-Bailey’s analysis lies in her careful reconstruction of the networks, both female and male, that enabled Kelly to disappear one season, reappear the next, and shortly after ‘adopt’ a young daughter with virtually no indication that audiences suspected the child was hers. Several other pieces are noteworthy for their methodological models or correctives, though are not explicitly focused on pregnancy. Elaine M. McGirr’s piece offers a re-reading of a moment in theatre history that displaces the texts performed for the sake of focusing on the personal networks enacted around and through those texts, in this case, those of the Cibber family. Beyond the excellent contribution McGirr makes to this specific historical moment, her approach highlights the considerable utility of reading personal networks into theatrical history. Laura Engel and Judith Hawley, like McGirr, excavate the real relationships extant behind theatrical performances. Hawley focuses on private theatricals and the mother-son relationship between Elizabeth and Keppel Craven, while Laura Engel explores the relationship between Sarah Siddons and painter Thomas Lawrence. Lawrence, romantically linked to both her eldest daughters, was nevertheless a close friend to Siddons. Engel borrows the phrase ‘non-standard intimacies’ from Queer studies in an attempt to rediscover “the messy trajectories of her lived experience, revealing a very modern sense of maternity as a simultaneously embodied and disembodied state of divided loyalties and desires” (229). Laura J. Rosenthal, Marilyn Francus, (whose Monstrous Motherhood receives well-deserved mentions throughout the book) and Kathryn Lowerre look at representations of political mothers on stage. Rosenthal examines Roxolana in the Earl of Orrery’s Mustapha (1665) and Francus Queen Artemisa in Nicholas Rowe’s The Ambitious Stepmother (1700). Both plays hold strong political implications for late Stuart London, and both place maternal love in direct conflict with the preoccupations of monarchy, rendering the political indivisible from the domestic and revealing anxieties about motherhood, power, and dynasty. Kathryn Lowerre, meanwhile, focuses on the 1720s operatic stage, specifically on childless Anatasia Robinson. She argues that Robinson’s performances of maternal characters on stage enabled Robinson to access a life experience she did not possess. Lowerre’s application of Toni Bowers’ term “imaginable motherhoods” (which articulates ideals of motherhood divorced from embodied experience) suggests that maternal performance onstage could connect to and embody lived experience. Lowerre’s survey of pregnant operatic performers in 1720s London is also useful. Other compelling contributions include Ellen Ledoux’s article on the mirror-image trajectories of Sarah Siddons and Mary Robinson’s careers, and the place of their maternal identities within them, and Emrys Jones’ attempt to go beyond “simply pointing out” the similarities between writer Francis Sheridan and her famous son, Richard Brinsley Sheridan. Jones’ work results in a complex but evocative set of questions about how we understand both biological and non-biological forms of reproduction and inheritance. Finally, Jade Higa’s wide-sweeping analysis of Horace Walpole’s closet drama The Mysterious Mother offers an intelligent reading of the drama itself, and the ways its taboo desires were seemingly transmuted into the family of its illustrator, Lady Di Beauclerc, whose son and daughter had a long-lasting incestuous affair. Chelsea Phillips is Assistant Professor of Theatre at Villanova University and assistant director of the Perceptions of Pregnancy research network. Her research interests are celebrity pregnancy, gender and repertory on the long eighteenth century stage. This entry was posted in Blog Posts, Past Posts, Uncategorized and tagged childlessness, history, maternity, motherhood, theatre, women, work. Bookmark the permalink.